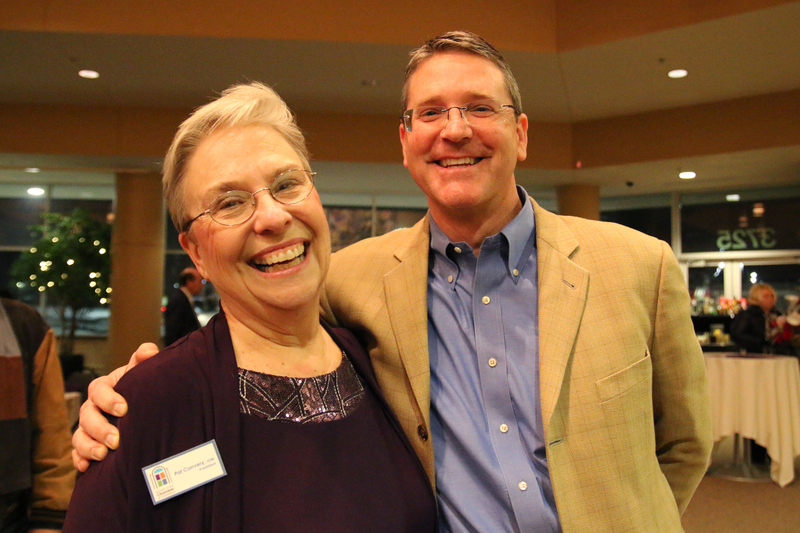 Chamber President Pat Convery congratulates 2013 Citizen of the Year Brent Earl. 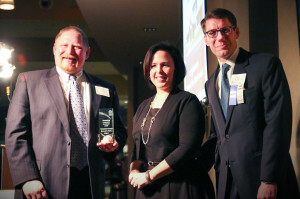 A stunned Brent Earl was named Howell’s 2013 Citizen of the Year at the 57th Annual Howell Area Chamber of Commerce Dinner, sponsored by Saint Joseph Mercy Livingston Hospital. Diane Yak, director of patient care services for Saint Joseph Mercy Livingston Hospital, updated the audience on the health provider’s work in the community. Her presentation included a video, which you can view by clicking here. 2012 Citizen of the Year Kathleen Zaenger presents 2013 Citizen of the Year Brent Earl with a congratulatory resolution from the Michigan Legislature. 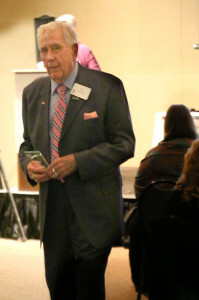 Earl, whose roots in the community stretch back six generations to the 1830s, received his award in a presentation by 2012 Citizen of the Year Kathleen Zaenger. The Citizen of the Year is chosen by previous Citizens of the Year who gather in November. The name of the next person to join their prestigious ranks is a closely guarded secret. 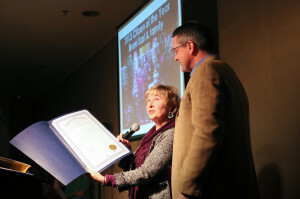 The Citizen of the Year presentations traditionally talk about the award-winner’s life without revealing his or her identity until the very end. 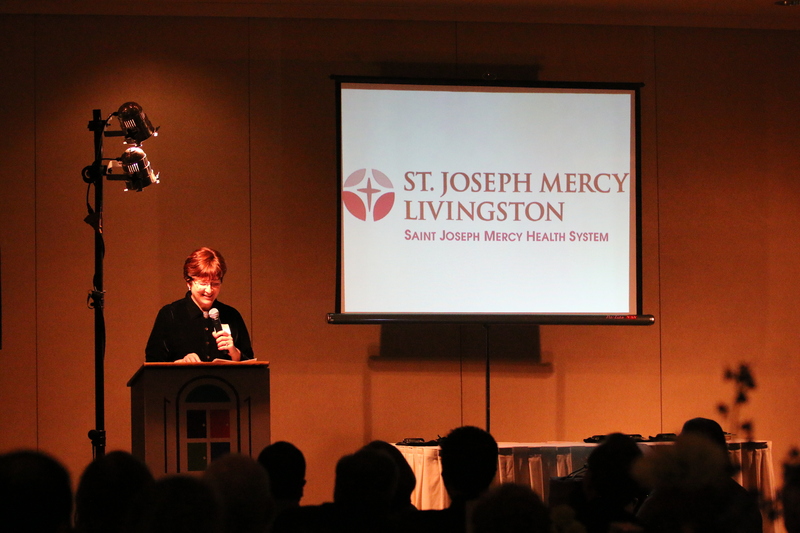 Diane Yak, director of Patient Care Services for Saint Joseph Mercy Livingston Hospital, updates the audience on the medical facility’s growth in Livingston County. Realizing early in the presentation that he was this year’s choice, Earl took a deep breath and tried to figure out what to say to the 200-some people in the audience. “Humbling” is how he described the moment. 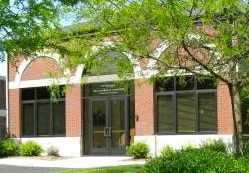 Earl is involved in the Livingston Arts Council and the restoration efforts of the Howell Opera House. A third-generation member of the Howell Rotary, Earl also donates meat from the family farm he works with the help of his wife and four children to Gleaner’s Food Bank of Southeastern Michigan. He’s been honored for his work with Big Brothers Big Sisters, and he regularly dons women’s footwear to participate in in LACASA’s Walk A Mile in Her Shoes event. Earl is also a founder of HUB-TV, which concentrates on the positive stories in the community. Six other awards were presented at the event. Lou Van Cuyl received the “Making it Happen” Award for his work on the renovation and expansion of the Livingston County Veterans Memorial. Lou Van Cuyl received the Making it Happen Award for his work in enhancing the Livingston County Veterans Memorial. Built in the 1940s, the memorial lists the names of the men and women from Livingston County who were killed in action in World War I, World War II, Korea, Vietnam, Iraq and Afghanistan. The memorial is located on the lawn of the historic Living¬ston County Courthouse, and it’s the site of ceremonies throughout the year. After honoring veterans so well for 60 years, the memorial was in need of repair. While others talked about how wonderful it would be to improve the memorial, Van Cuyl made it happen. Befitting from his status as a WWII veteran, he mustered the community troops and embarked on a campaign for donations. The Chamber Foundation enlisted in the project to provide oversight, fiduciary services and some technical support. What started as an idea ended up as a great community effort to pay tribute to the brave souls who made the ultimate sacrifice, as well as all those who served. Donations poured in, and new lighting, paving and landscaping was added to the monument, which is a popular downtown Howell gathering place. The inscribed bricks at the monument, sold as part of the project’s fundraising, provide a touchstone for family members. 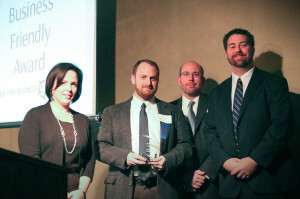 The City of Howell received the “Business Friendly Award. Accepting the award from Becky Best is Howell Mayor Phil Campbell, Howell City Manager Shea Charles, and Eric Conn, chair of the Howell DDA Board. 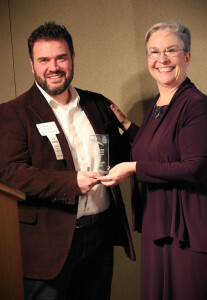 The Business Friendly Award was presented to the City of Howell for its efforts to create a “business-friendly” brand for the city. A number of feedback sessions were held with stakeholders representing businesses large and small, as well as building owners and manufacturers. The result was a number of action items that are making doing business in Howell even better. These items include things like improving customer service, developing a clear list of steps to open a business, creating a single point of assistance, and evaluating millage and assessment processes. 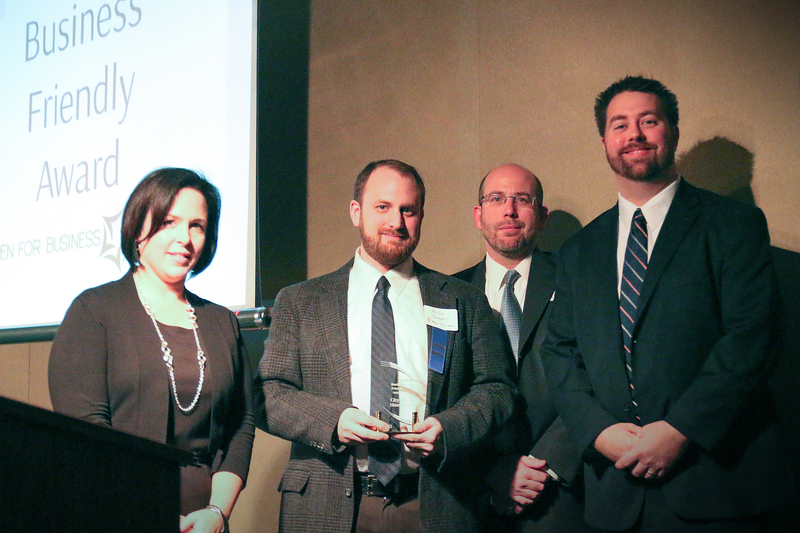 Three Outstanding Community Investment Awards were presented. 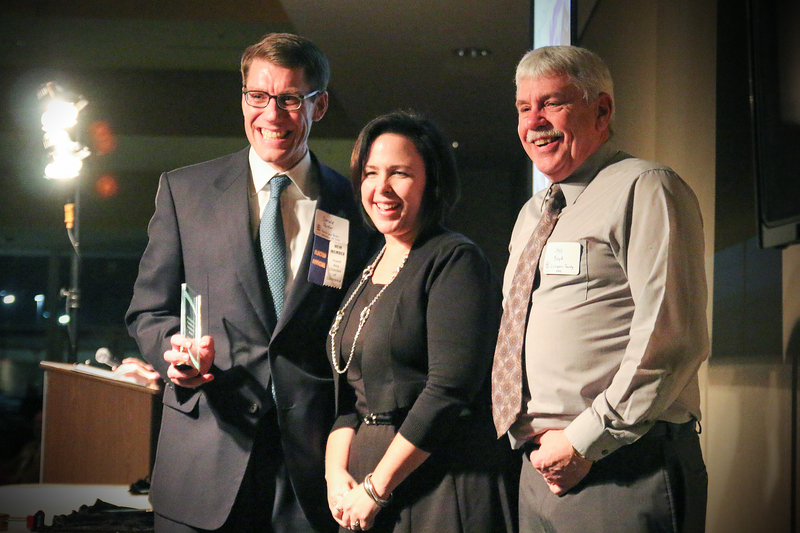 Livingston County Airport Manager Mark Johnson, left, and Livingston County Commissioner Donald Parker, right, accept the airport’s Outstanding Community Investment award from Beck Best. The first went to the new Livingston County Emergency Services building. As well as housing EMS, the building provides space to the University of Michigan Survival Flight. This pairing is a natural, and the proximity of Survival Flight is an added benefit to the community. In addition, EMS has a partnership with Lansing Community College, which uses programmable patient mannequins and the state-of-the-art simulation labs on the second floor of the facility for classes. Currently, LCC is teaching EMT training there. In a week, it will begin teaching a nursing simulation rotation, and is on track to start a program for military medics later this year. County employees gain certification through classes here, too. 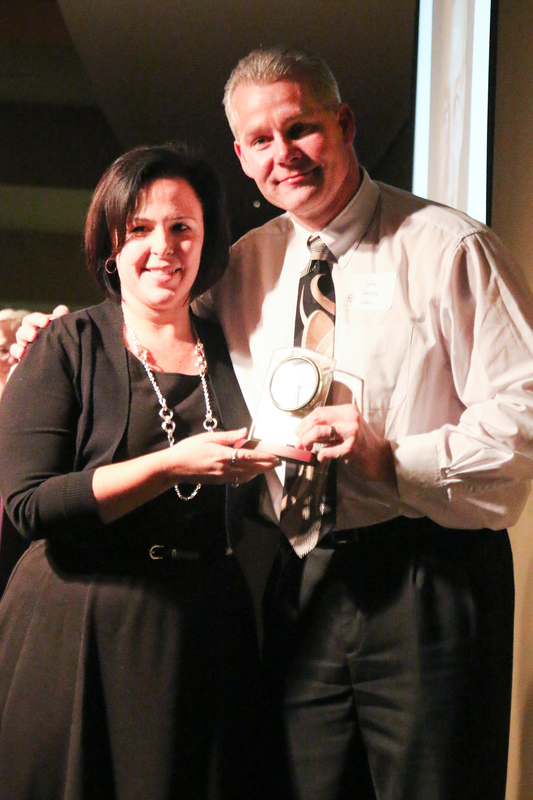 Pastor Dan Dummit accepts the award from Pat Convery. 2|42 Community Church received the second award. 2|42 took an unused fitness facility and turned it into a church and community center. The result is a wonderful, welcoming facility that serves the entire area. The facility includes a full-size indoor soccer field; a basketball court; a café that serves breakfast, lunch and dinner; music studios for lessons and practice rooms; play areas for kids including all sorts of fun equipment; and areas for things like exercise classes and outdoor fire pits. A variety of community organizations make good use of the facility, including the 100 Women Who Care. The Howell High School Class of 2014 will hold its Senior All-Night Party there later this year. The worship space/auditorium is used for concerts and events. The third Outstanding Community Investment Award was presented to the Livingston County Spencer J. Hardy Airport for its new terminal. Besides providing a great home for the busy airport, the building offers a wonderful welcome to the community for those arriving by air. It gives county residents and visitors convenient service with easy access to I-96, M-59 and US 23, and provides a modern hub for a host of services. 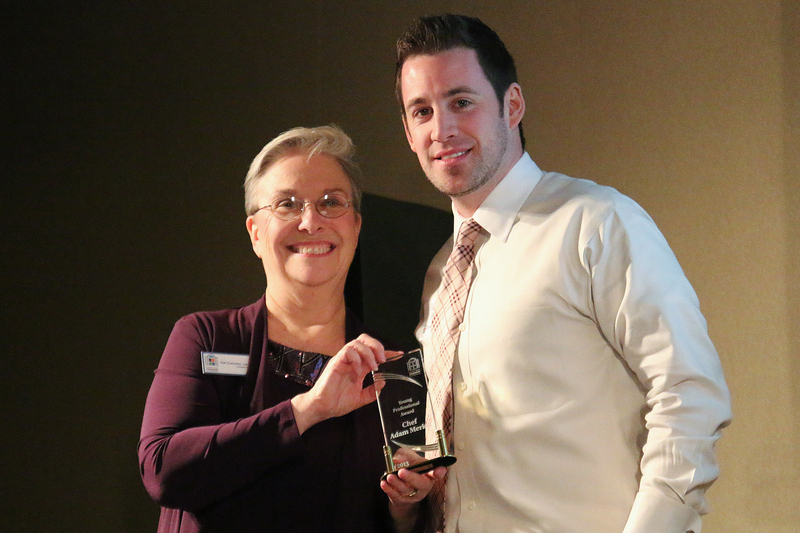 Chamber President Pat Convery presents Chef Adam Merkel of Diamond’s Steak & Seafood with this year’s Young Professional Award. Chef Adam Merkel received the Young Professional Award. Merkel helped make Diamonds Steak and Seafood a destination restaurant. In addition to adding new and exciting dishes to the tried-and-true menu, he’s harnessed the power of social media to promote his business. He’s even done cooking demonstrations on network television. And he’s stepped out of the kitchen to become a big part of downtown Howell. Merkel serves on the Downtown Development Authority Board and participates in all sorts of community events. He’s currently expanding Diamond’s to better serve its customers, and is thinking about bringing another restaurant to downtown Howell in the future. 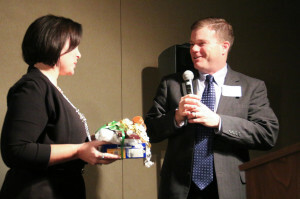 Becky Best presents outgoing board member John Harvey with a remembrance of his time on the board. Outgoing chamber board chair Becky Best of Citizens Insurance accepts a gift from incoming chair Steve LaCommare of Kizer Law Firm.